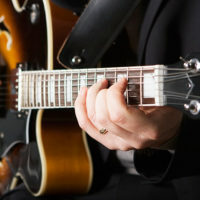 If you have been playing jazz guitar from time to time for fun, and you enjoy it, why not take it to the next level and learn to play jazz at a more advanced level? At the London Guitar Institute, you as an intermediate jazz guitarist will get the personal attention of master guitarists and instructors who will work with you one-on-one. You will get a chance to refresh your knowledge and skills of the basics of jazz guitar and then move on to more challenging levels of performance. You will learn new tricks and techniques. You will enjoy a deeper understanding of jazz music and a better appreciation of overall musicality. And after developing a more rounded repertoire of jazz skills, you will get a chance to perform in concert with peers, without being judged. It’s your concert and your chance to shine. You can get better only if you know where you are going. It takes an expert jazz guitarist who has taken the journey to know what’s ahead for you. Stefan Joubert is that expert. 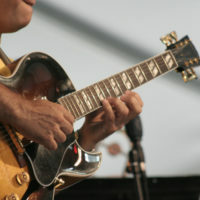 Stefan Joubert is a recognized master of jazz guitar. He has taught legions of intermediate jazz guitarists how to improve their craft. Having learned under other masters like Johnny Fourie in South Africa, he brings the benefits of jazz traditions to his students. You will learn how jazz evolved from its roots in ragtime and blues and has influenced almost every genre of music today. You will learn to appreciate the richness of jazz. But it’s not just about musicality. It’s about you and what you want to accomplish. Stefan Joubert starts with where you are today and discusses your goals. By helping you work out a plan of growth, Stefan will lead you through the steps that will take you to an advanced level of skill and performance. While setting goals and following a plan is important, Stefan also knows that improvement takes time. It can have its frustrations. That’s why it’s important for your instructor to have patience. You will not be rushed but given time to develop and amplify your own gifts. The many intermediate jazz guitar students who have improved under Stefan’s leadership universally acclaim the value of his patience in working with them. 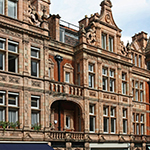 There are two locations for jazz guitarists in London to work on their craft. You may have learned to play jazz guitar on your own. You may have learned from a family member. You may be a music major or play in a jazz band. You can probably play a handful of jazz standards. You try soloing but get lost in chord progressions. You do improvising but would like to do a better job of outlining chord changes. You may want to learn more about chromatic lines and fluidity. To go beyond the intermediate jazz guitar level, you need a program of advancement structured around your current skills and knowledge and your potential. Stefan Joubert and the London Guitar Institute provide the courses that include all the elements of advanced jazz guitar. You will learn to do a better job of comping and go beyond basic chords. You will add to your jazz repertoire and learn to solo on jazz progressions. You will also learn to refine your harmonic skills. You will become more familiar with some of the great performers like Wes Montgomery, Pat Metheny, and George Benson. Or you can follow the type of jazz you like. You may want to follow Lionel Louke, an African-born guitarist, who is known for his fusion of traditional West African music with modern jazz harmony. Or maybe you like Bobby Broom who is known for a variety of American music forms including traditional jazz, funk, soul, R&B, and blues. There are many jazz styles out there. Learn the style of your favourite performer. Under the tutoring of Stefan Joubert, you will become an accomplished jazz guitarist in the mould of the great performers of the past and present. See how far your skills and work can take you. 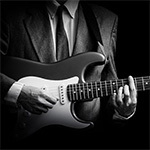 As an intermediate jazz guitarist, you are eligible for advanced training at the London Guitar Institute. Lessons take place weekly at set times and days. As an intermediate jazz guitarist, you have already shown a casual interest in this art form. If you have felt a need to see how much better you can become, you should have the best training available. We look forward to working with you to begin the journey. Become a proud member of the London Guitar Institute, and we will help you become the jazz guitarist you want to be! 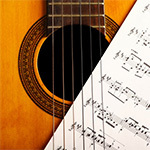 Contact us for more info about our intermediate jazz guitar lessons. We promise a prompt and personal reply within 1-2 working days. 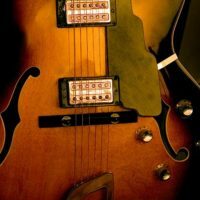 Are you a beginner looking to learn jazz guitar in London? Are you an advanced jazz guitarist looking to seriously become the best jazz guitarist that you can possibly be? 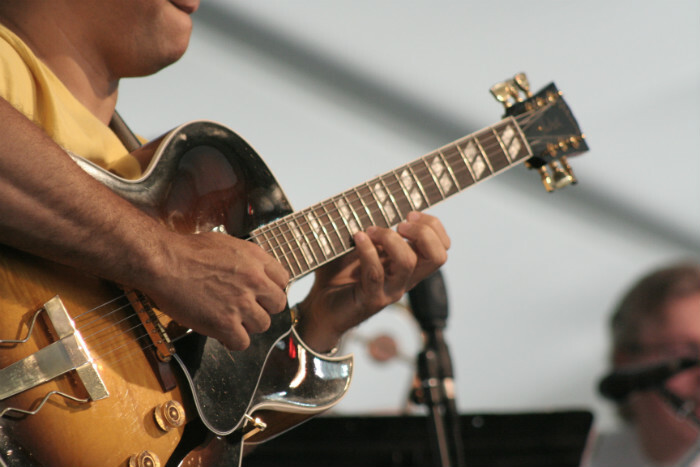 Is it not time that you become serious about learning how to play jazz guitar? Did you know that with applied time and effort along with quality education your dream CAN become a reality!